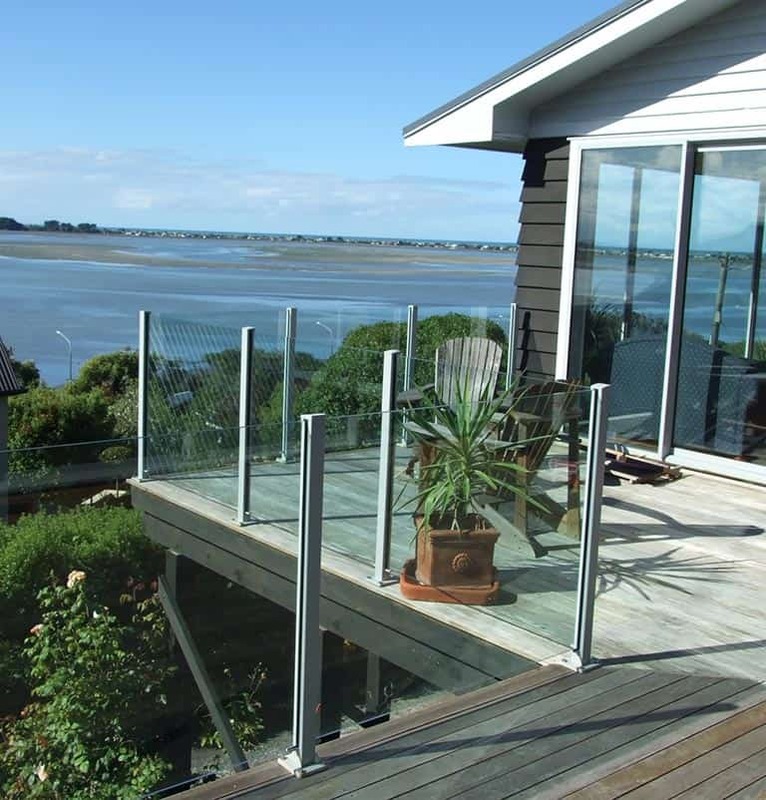 This increasingly popular style for glass balustrades offers glass spanning between the posts, with or without a handrail. 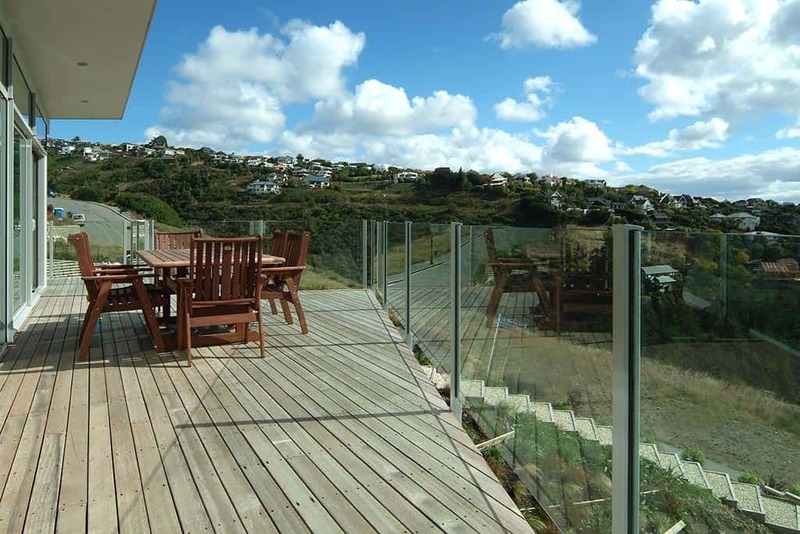 Toughened glass is combined with fully polished edges to achieve clean lines and an athletically pleasing finish to these glass balustrades. Gates with self closing hinges are available which comply with the requirements of the NZ Fencing of Swimming Pools Act 1987. 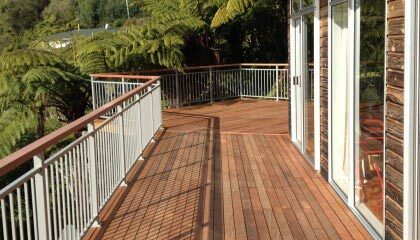 Depending on the nature of the pool surroundings or decking; Independent advice is available on a variety of fixing options to suit your particular project. 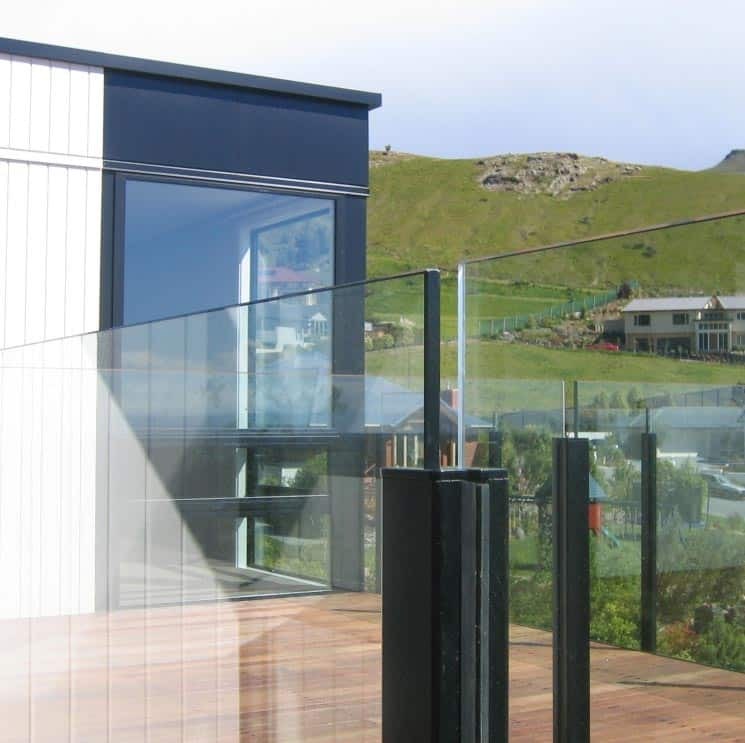 For a checklist of requirements for glass balustrades, as specified under the Fencing of Swimming Pools Act 1987, click here. 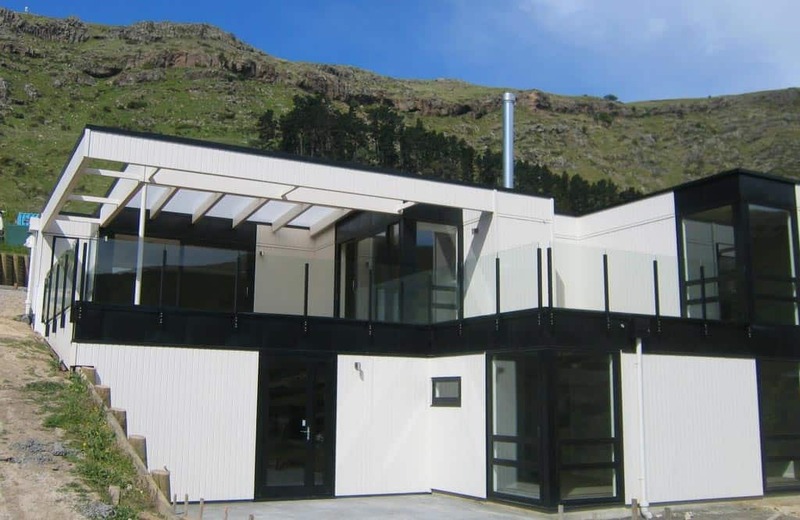 In Early May 2016 the Ministry of Business Innovation & Employment notified the industry that they intend to amend the glass barrier requirements in the acceptable solution B1/AS1, to those requirements in NZS 4223.3:2016. This amendment came into effect on June 01 – 2016. This time line is extremely short and has caused considerable concern within the industry. Feedback and concerns re this time line from industry bodies such as GANZ have been ignored, hence we are now in the through of adjusting to these changes. 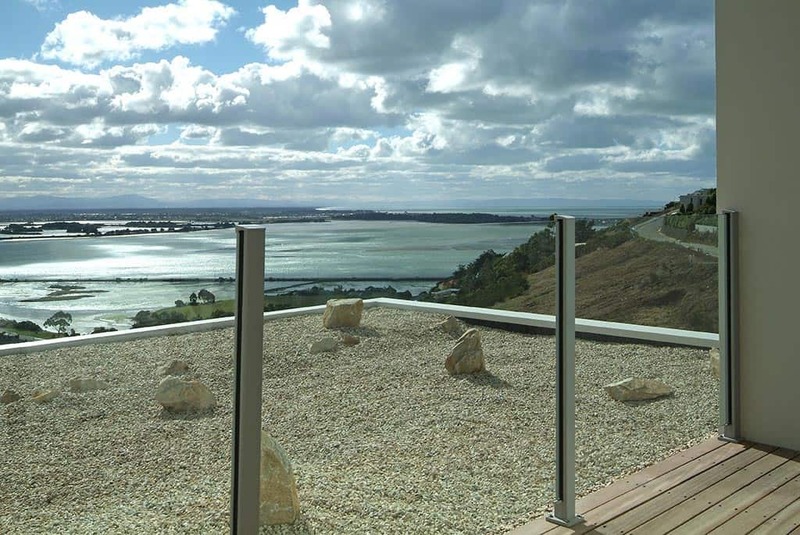 Canterbury Balustrade have systems and products to meet these new requirements and have been supplying and installing frameless glass designed balustrades in Christchurch for over 20 years. We are able to offer a range of balustrade systems with different glass types and attachments to meet the wide range of designs and safety requirements. 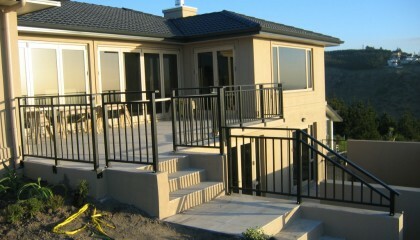 This means Canterbury Balustrade Ltd can continue to offer a complete balustrade solution. 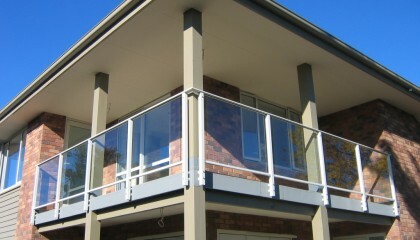 Toughened Safety Glass with interlinking rail connected to post spanning the glass pane. 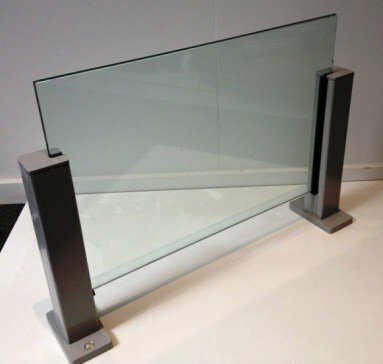 Toughened glass is stronger and breaks in a safe manner compared to normal glass. In the unlikely event of the glass breaking the glass will fracture into small safe fragments. 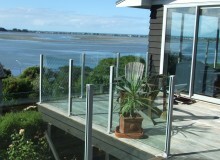 If the glass breaks, the interlinking rail provides a barrier to minimise the risk of people falling. 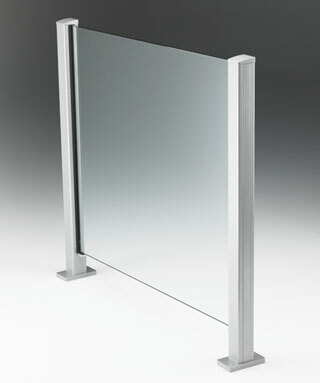 Top edge rail capping protects the edge of the glass. 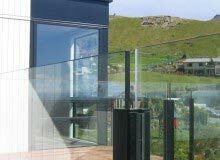 Toughened Laminated Safety Glass with EVA interlayer is bonded into the post with high strength adhesive. In the event of the glass breaking, the fragments of glass stay bonded to the interlayer. The high strength adhesive will prevent glass collapse in case of dual pane fracture. If the glass breaks, glass fragments remain firmly bonded to the interlayer, eliminating fragments falling over the edge. Retains its clarity; is extremely durable and resistant to clouding, even after years of exposure. 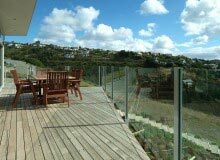 Posts and glass flush finish with no handrail provides a barrier with minimal obstruction to your view. The crisp clean lines of the exposed top and lower edges of the glass capture the frameless look and are typically more economical. 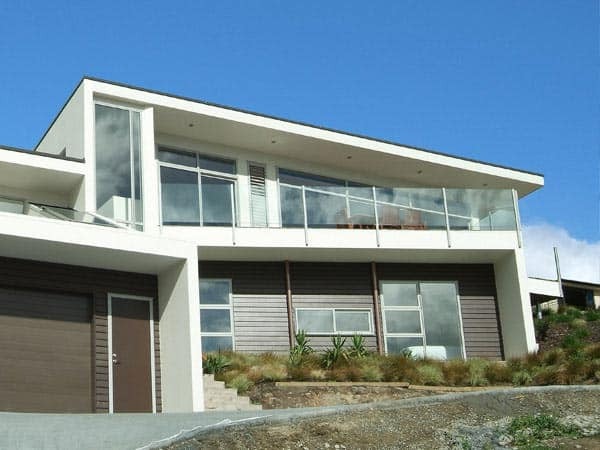 Posts with glass protruding above the post top provides a cross over between frameless and semi frameless with minimal obstruction to your view. 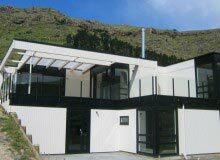 The exposed top and side edges of the glass capture the frameless look while provide a more cost effective solution. 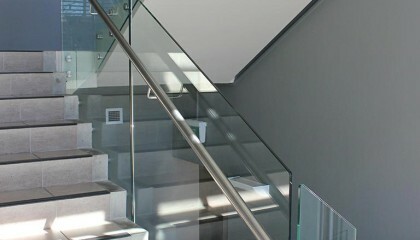 Posts with top mounted handrail and mid positioned glass. 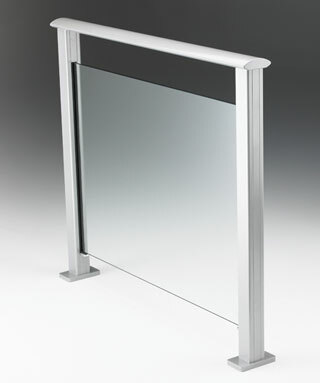 is similar to Vetro, yet provides an additional top rail for comfort. The sleek #ART Top Rail is the standard option for this style, but the #VRT, #VRE and #VRR can also be used at typically no extra cost. Posts with tap style fixing for glass retention. There are various styles and options available for fixing glass panels between or within posts creating specific building design features. Clamps are generally “off the shelf” stainless steel purpose designed for various situations. Custom designs can also be employed when and if required.